Still the best value residential in Europe. Inspiring environment, professional attitude, charting albums. "Literally a breath of fresh air for your session"
Our speciality: "Lashings of vintage gear"
Empowering artists and producers: an excellent synergy of high quality vintage and modern equipment with a great place to stay. A studio developed for musicians to enjoy and perform their best. To make your production concepts a reality we’ve acquired and compiled some great and classic items of vintage gear. Combined them with high end state of the art equipment and technology. Fine-tuned the recording areas using the ears of the country’s top producers and sound engineers. And nurtured spaces with pleasant vibes. Ensuring you perform your best and it's captured as envisaged. 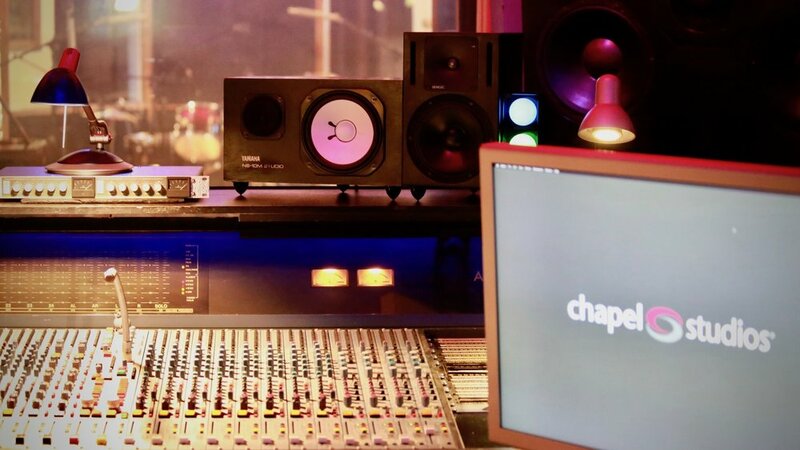 Chapel studios and staff have had the privilege to play a part in many milestone recordings on music as diverse as Arctic Monkeys to Shirley Bassey. At some point in that process the artists, producers and record companies involved, made the choice to record at Chapel. It worked for them and it can work for you. In an area of outstanding natural beauty, a residential oasis. A facility with a fresh approach and a long history of success. Come and enjoy our latest comprehensive refurbishment and achieve more with your budget. Call us to chat through your requirements on 01507 480305.